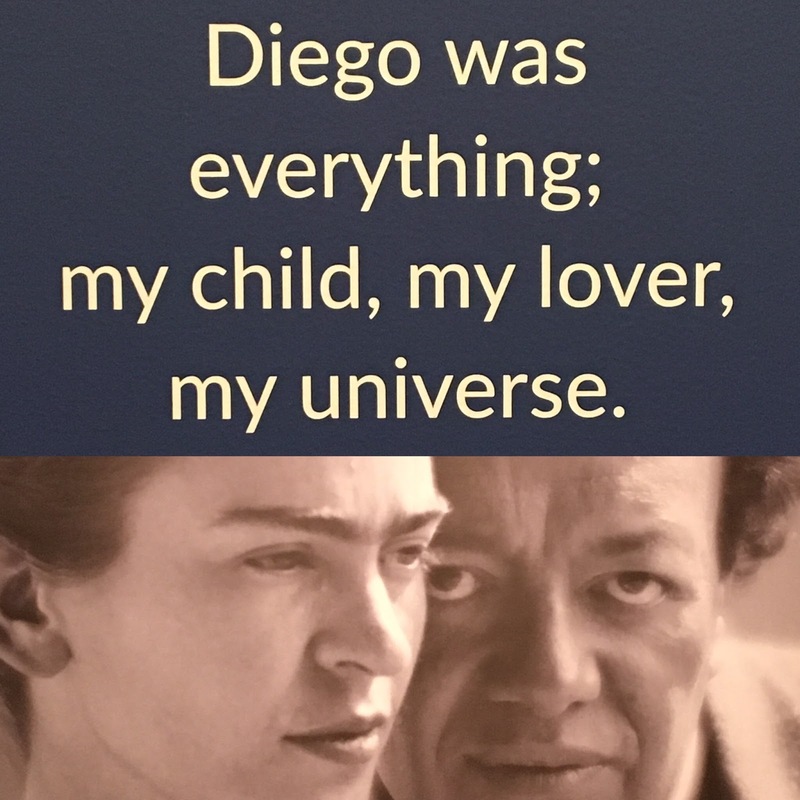 An exhibition of Frida Kahlo and Diego Rivera's work from the Jacques and Natasha Gelman collection is now on at the Art Gallery of NSW until 9th October. The exhibition also includes many photographs by Edward Weston, Nickolas Muray and Frida's father, Guillermo Kahlo. I'm beginning to wish I'd paid the extra for an unlimited ticket as I'm already feeling the urge to see it again. The spirit of Los Fridos (devotees of Frida) seems to have infected me too. Hot tip - become a member or buy your ticket online to avoid the queues. One of the many portraits of Natasha Gelman by Kahlo. Natasha Gelman (as calla lily) by Rivera. I was amazed by the number of photographs with Kahlo, cigarette in hand. Rivera almost looking handsome and dashing at the hands of Kahlo. I have a coffee mug with this Picasso print on it. We saw it in 2012 when we had a Picasso exhibition in Sydney. I got a weird thrill to think we'd viewed the same painting. There were also three movies showing brief scenes from their life together, including their famous meeting with Trotsky in 1937. I studied Kahlo's artwork for a project back in the third grade. I havne't thought about it since... and your post has brought back great memories. 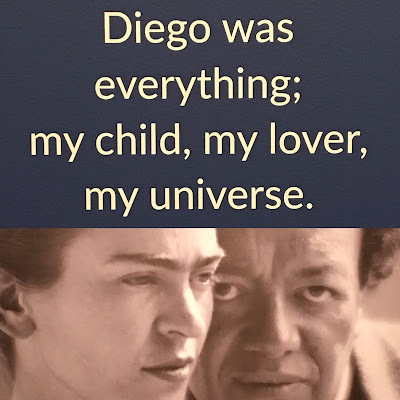 Kahlo is beloved here in Texas. My library assistant dressed up convincingly as Kahlo for Art Night last year. Nice. I really should go to more art exhibits. I am forever thankful for the blogging world as I see the wide wonderful world of art through others eyes. Thanks for sharing. Living in a very small rural city and not traveling much, I wouldn't get to see such wonderful works if not for posts like yours. I'd love to go to a Khalo exhibit. What an excellent experience! Did you ever see the film about her life, Frida, starring Salma Hayek? It was pretty good. And I read the giant biography about her, Frida, by Hayden Herrera. Khalo had a complicated life, which comes out in her art. What an amazing exhibit. Thank you for sharing highlights. I'd love to know more about this fascinating artist. I must say that I find it rather intriguing that this is such a popular exhibition. But then I've never caught the Frida bug, perhaps I need to go? (Although I know I won't get there). Thanks for the pictures though, it's a nice taste. I've always been rather bemused by the whole Frida cult thing too Louise...until this exhibition. One of my young colleagues is a huge fan and had been to the exhibition and raved about it in glowing terms. My fascination was piqued by the stuff I learnt about how she cleverly and deliberately used the media to formulate her public persona. Her mastery of the art of the selfie was way ahead of her times! What an interesting exhibit of great art. Thanks so much for sharing it.